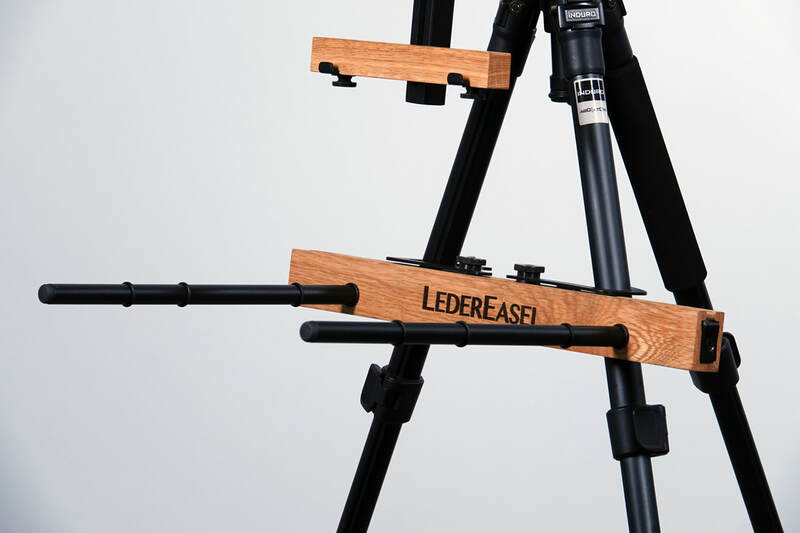 A compact, lightweight, handsomely designed artist easel and palette holder that attach onto your tripod (tripod not included). 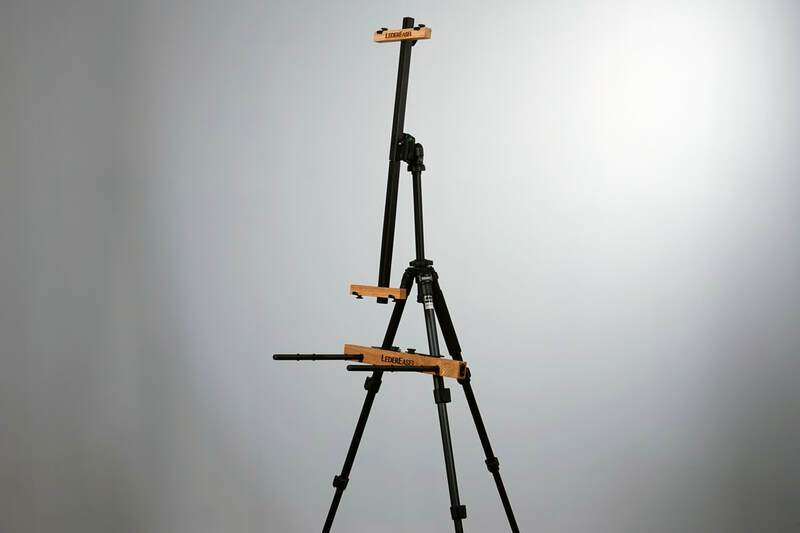 Great for plein air and studio painting! 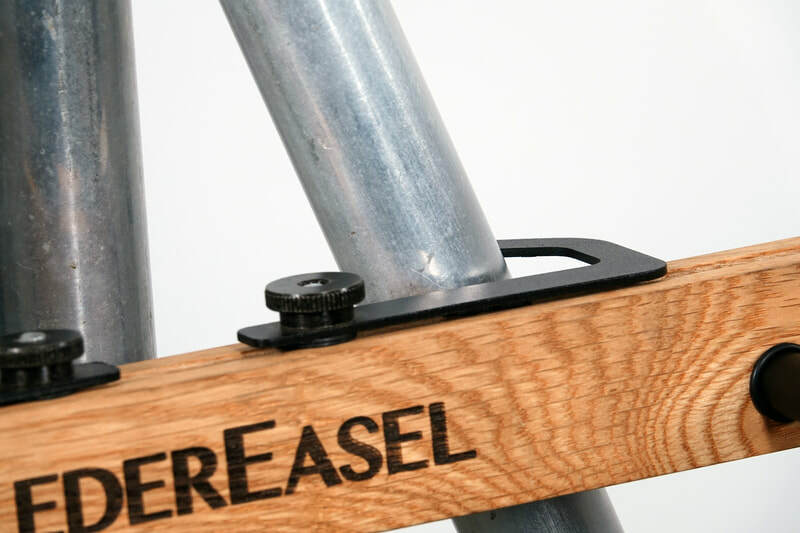 ​The easel is fabricated in lightweight rigid 16 gauge steel, powder coated for lasting protection. 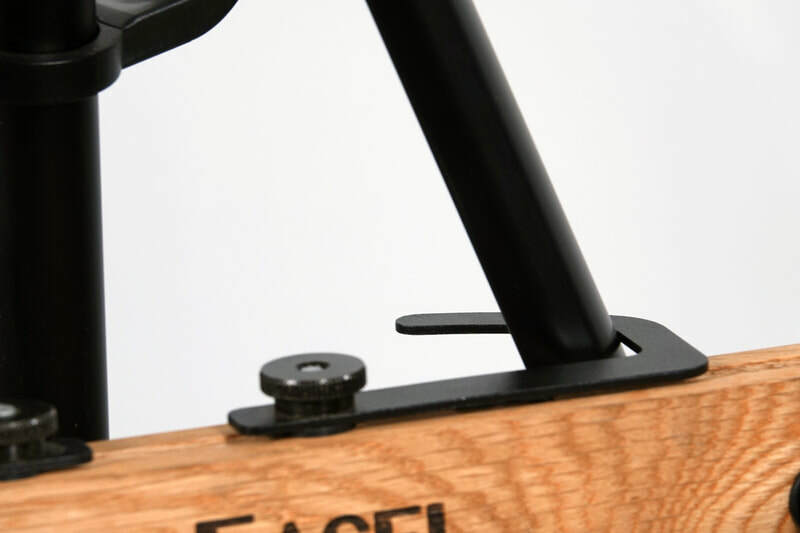 Crosspieces are solid hardwood creating a unique appearance. 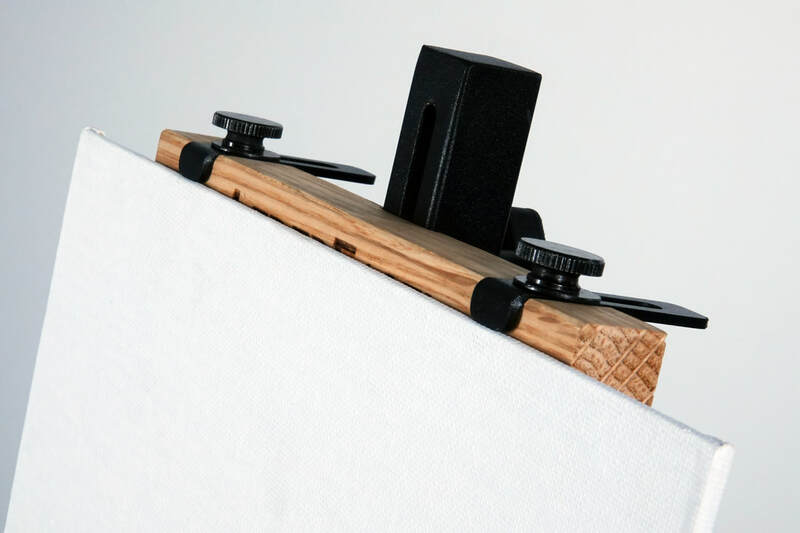 Adjustable tabs hold up to three quarter inch material or you can simply trap your choice of painting surface between the top and bottom crosspieces. 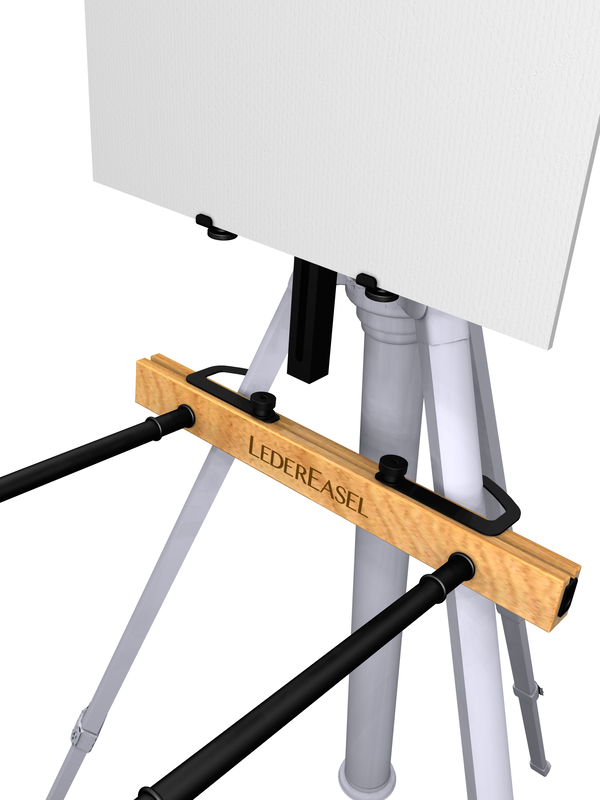 The easel will accommodate a painting surface up to 24" high, and attaches to any tripod that has a 1/4-20 threaded screw mount. 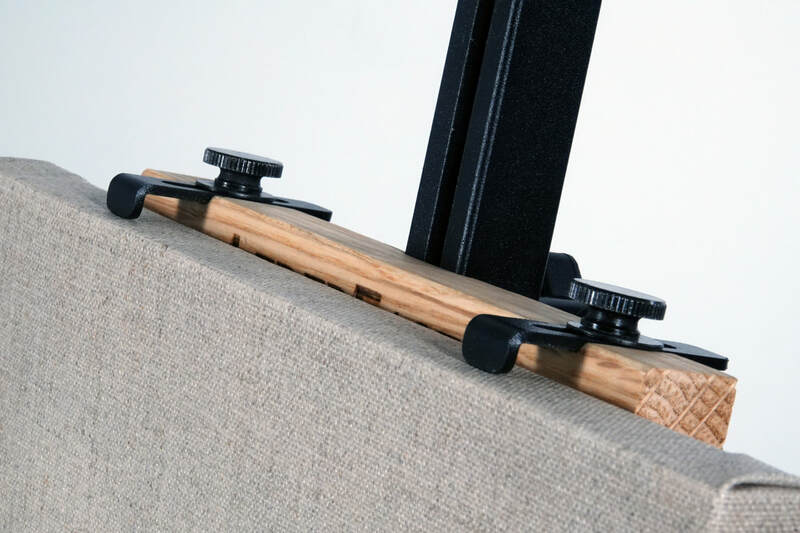 Crosspieces swivel and do not need to detach from the uprights so there are no loose parts to get lost. 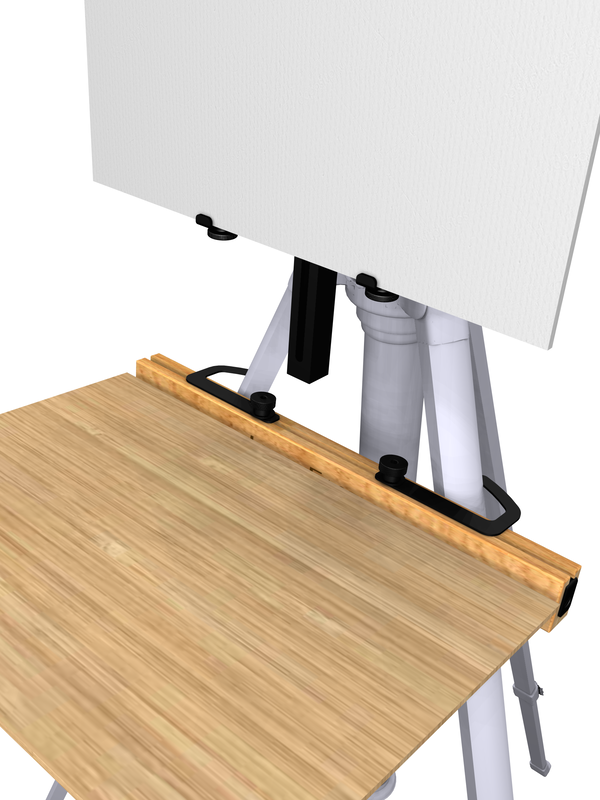 You can remove the bottom crosspiece and move it to the upper slotted section when working on a smaller painting surface. ​your paints or pastel box. 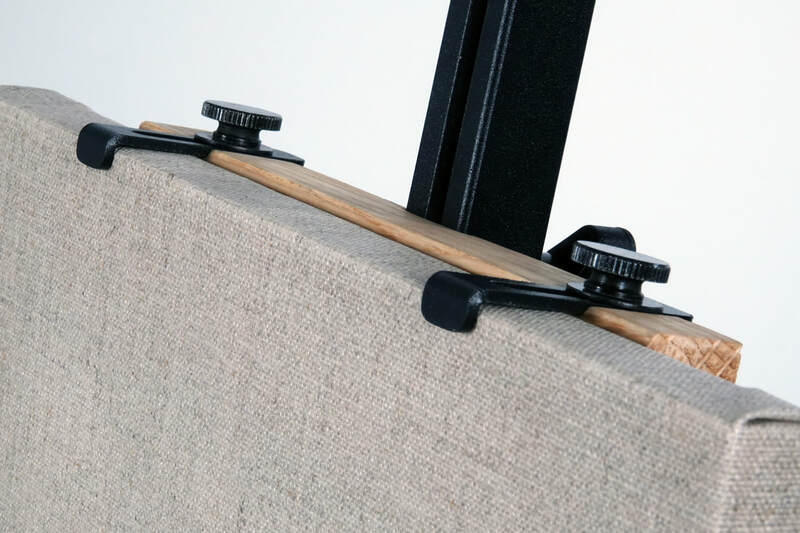 Keep everything neat in the padded carry/storage bag with shoulder strap. Inside you'll find ribbons to secure the parts from moving around, and a zippered pocket for small items. 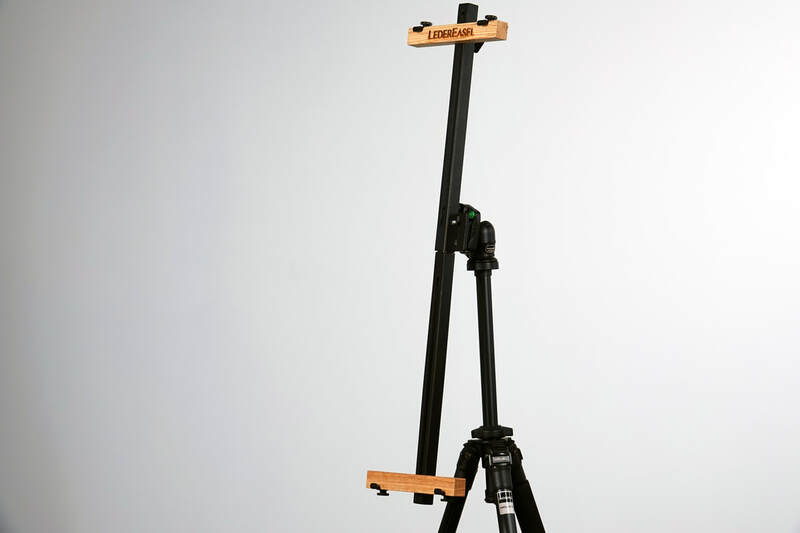 Total weight of the kit is 55 ounces. 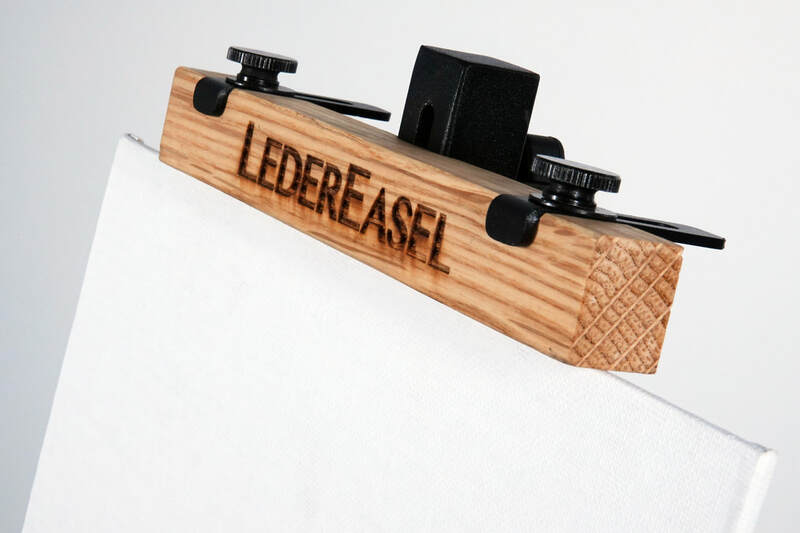 LederEasel Kit is available for $119 plus tax and shipping. 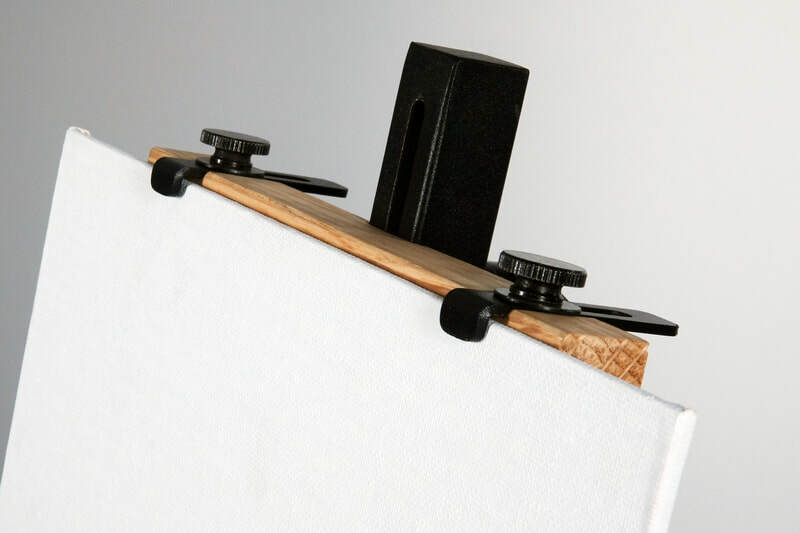 ​Kit includes the Easel, the Palette Holder, and Padded Storage/Carrying Bag, with Assembly Instructions.